FAIRVIEW HEIGHTS – In a season that has been full of goals, just a few remain for the state’s best boys bowlers and they descend on St. Clair Bowl for the IHSA Boys State Bowling Tournament Friday and Saturday. One of those goals is paramount: Make it to Saturday. With the first rounds of the tournament set for Friday, all eyes will be focused on advancing to the second day of the annual tournament. 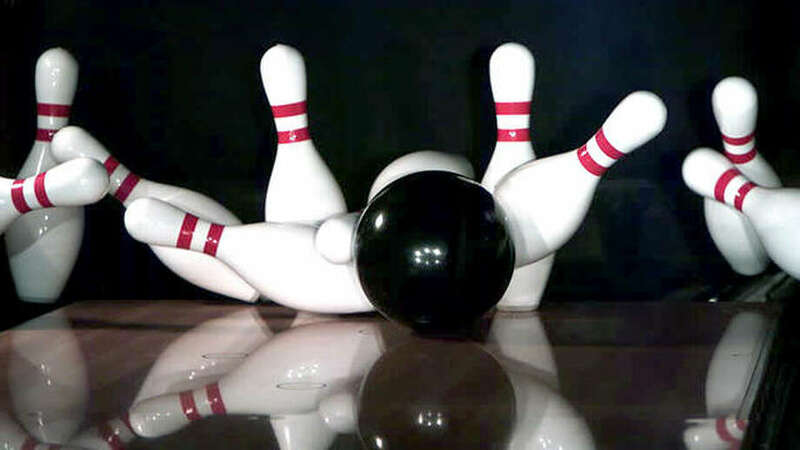 Saturday is when the organized mayhem that is the state bowling tournament grows a little more intense. The Shells, along with Alton, Columbia, Collinsville, Belleville East and Freeburg advanced out of the Alton Sectional. The top six teams move on to state from each sectional, as well as the top seven individual bowlers not on a qualifying team. Qualifying teams and individuals from sectionals at Hinsdale South, Rockford Jefferson and Tinley Park Andrew will be in O’Fallon. Columbia won the Alton Sectional team title. Roxana was fourth and Alton fifth. While the players were celebrating Monday night following the sectional, their coaches were quick to point out that another challenge lies ahead this weekend. Seven seniors and a sophomore make up Alton state team. The seniors include Daren Cochran, Chris Duke, Matt Engdale, Lance Perkey, Gavin Taylor, Trevor Vallow and Ta’Ravion Ward. Dannny Laslie Jr. is the lone AHS sophomore. Duke was Alton’s top bowler at the sectional with 1248 pins, closely followed by Engdale with 1245. Engdale also had the high game at the sectional with a 279. Besides sectional champion Bertoletti, the rest of the Roxana state team will include senior Blake Adams, senior Ethan Baumgartner, senior Jake Weigel, sophomore Logan Wonders, senior Dayton Grizzle, senior Mason Warwick and freshman Drake Westfall. Among the individual bowlers advancing from the Alton Sectional is Jersey junior Jeremy Vanost. The intensity rises as bowlers advance along the postseason road, according to Meyer. Bertoletti is making his third appearance at the state tournament, but first with his teammates. He said he hopes he can prepare the rest of the Shells for what lies ahead. “The adrenaline will be high,” Bertoletti said. Last season, Rocktown Hononegah captured the state championship. O’Fallon was the highest-finishing area team with a fourth-place finish. Friday, doors will open at 7:30 a.m. for bowlers at St. Clair Bowl, 5950 Old Collinsville Road. General public can enter at 8 a.m. Warmups will get under way at 8:45 a.m. with the first round for all 24 teams and 30 individuals. Following a break for lunch, warmups for Round 2 will start at 12:45, with the second round of competition start at 1 p.m. It is expected to last until 3:45. The top 12 teams and individuals who advance to Saturday action will warm up at 8:45, with the third round of bowling starting at 9 a.m. The second round will start at 1 p.m. following lunch break. The awards ceremony is expected to take place about 4 p.m.